Some shipping method doesn't ship to PO Box. with this extension you can easily remove those shipping method from checkout if shipping address has PO Box address or PMB address in it. You can set an message to show when address has Po Box or PMB Box. 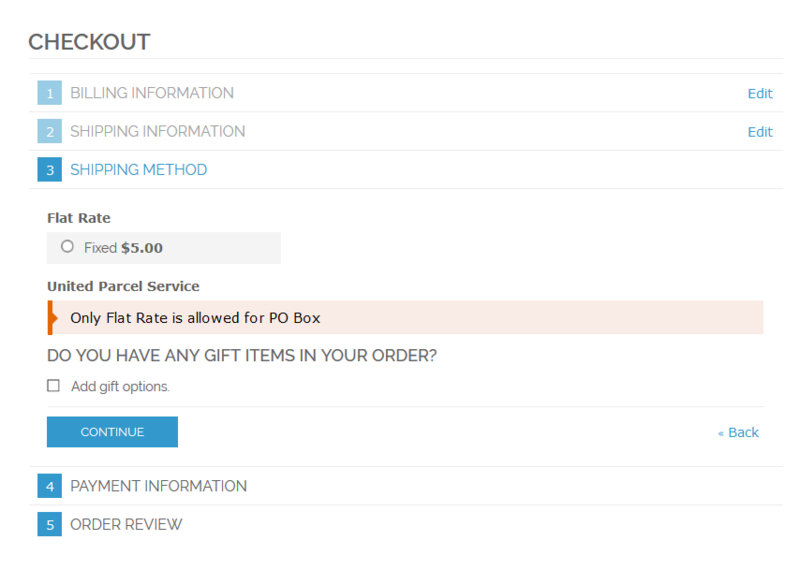 so customers will know that why certain shipping method are not available for them. Our extension fully compatible with One page checkout. It followed magento coding standard and it support Magento's multiple store.